I so appreciate this talk from the lovely Kathryn Budig, I wanted to share it here as well. If even a power house like her can be effected by negative comments, I can only imagine what it can do those who are vulnerable. Such a great reminder that we are all fragile flames and that the last thing we need to feel more judgement, but we can all certainly benefit from a little more kindness, to ourselves and to those in our lives. Like most women I know, I have struggled with body image and self acceptance. 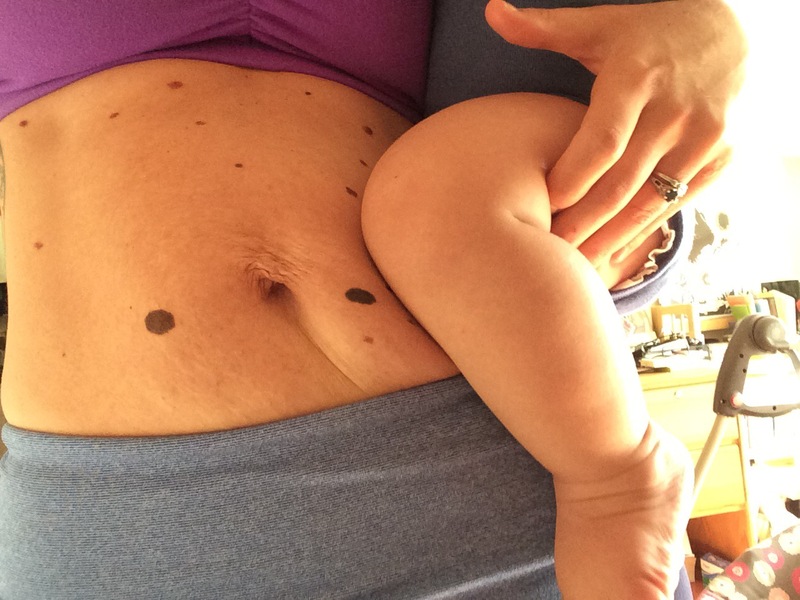 Since having babies, I have gradually been forming a new bond with my body. It was difficult during my first pregnancy to not feel out of control and overwhelmed by how much my body changed. But after my son was born, I found a new respect for the incredible strength of the female body and its capacity to nurture and create life. I was amazed by its utility! With my second pregnancy, I gained even more weight than my first. My midwife repeatedly expressed concern about this and my history of having a “macrsomal infant”. And again I had an uncomplicated birth experience with a big healthy baby. Now I look it the mirror and try my darnedest to shush the disparaging comments I hear in my head. I see the wrinkly skin on my belly, the softness of my overstretched belly muscles, the dimples of cellulite on my thighs, the thickness of my upper arms and shoulders and all these things bother me sometimes, but mostly they make be proud and amazed. I wear that softness bravely, because it is an external reminder of the opening and the new depth of love I have experienced as a mom. I’m done giving myself a hard time about this. And I’m done participating in those conversations with other women, like Kathryn talks about. It’s time to come together as women and lift each other up. We’re all in this together and let’s celebrate this life. It is our vulnerabilities that make us powerful. I’m grateful for my body and you should be too! My belly…after 41 weeks of pregnancy and now holding my 41 week old baby in arms. This entry was posted in ahimsa, aparigraha, Body image, mindfulness, parenting, Postpartum, pregnancy, Women, yoga, yoga therapy. Bookmark the permalink. Thank you!! You are so sweet to read my post and respond. Much love to you!